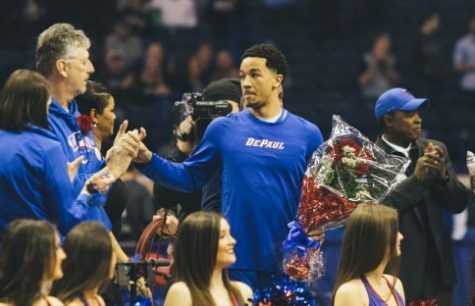 It was one of the better performances of the season for DePaul (1-4), however, they were not able to withstand a late Oregon (5-1) run to top the Blue Demons 89-79 in overtime in both team’s second game of the PK80 Classic Friday Night. After falling down early to the Spartans, it was the Blue Demons who came out ready jumping out to a quick 10-4 lead five minutes in. The high-powered Ducks responded with a 12-2 run to take a 16-12 lead behind five early threes. 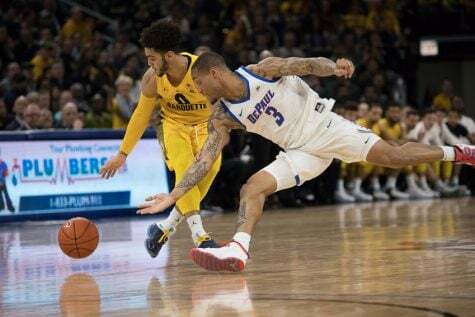 While the Ducks shot over 40 percent from behind the arc, it was a different story for the Blue Demons continued to struggle shooting just 20 percent from three. 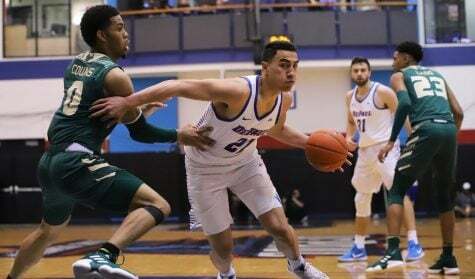 Much like against the Spartans, the Blue Demons continued to hang around in the first half despite not shooting it well going on a 7-2 run to close the half and head to the break trailing by just one 36-35. 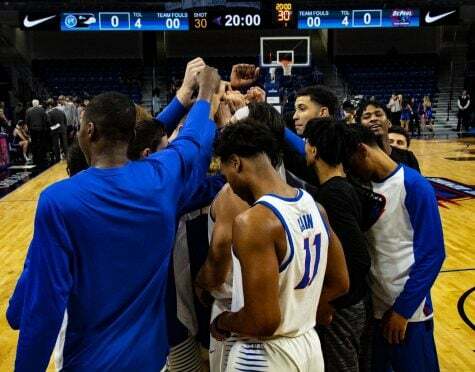 Eli Cain lead the way for the Blue Demons with 10 points and four rebounds, while Tre’Darius McCallum bounced back from a couple rough games with six points and four rebounds in the opening 20 minutes. 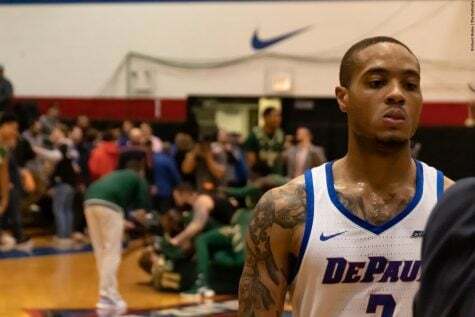 After going just 1-6 in the first half, DePaul guard Max Strus hit back to back threes to open the second half and give the Blue Demons a 41-36 lead. Strus was just 1-10 the night before against the Spartans. The Blue Demons continued to attack, capitalizing on four Ducks turnovers, as well as cold shooting to open up a 49-43 lead. They also continued to execute well offensively in the second half by getting the ball inside to center Marin Maric who finished with a team-high 22 points. This helped contain a high flying Ducks offense predicated on playing fast and capitalizing off turnovers, something they weren’t able to do with the Blue Demons doing a nice job of limiting their turnovers. 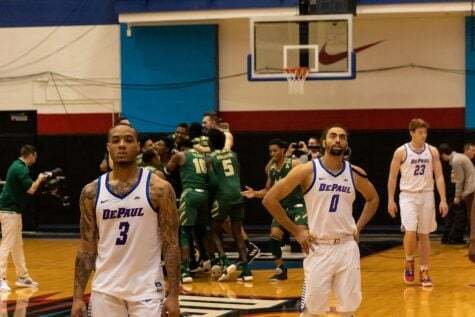 As the fouls continued to pile up for Oregon, DePaul also took advantage at the free-throw line, going 19-for-20 in the game. Down the stretch, the Ducks got the spark they needed from Payton Pritchard who scored eight straight points with his squad trailing 64-61 to help take a 69-67 lead with just over four minutes to play. Pritchard ended up as the leading scorer in the game with a career-high 29 points. 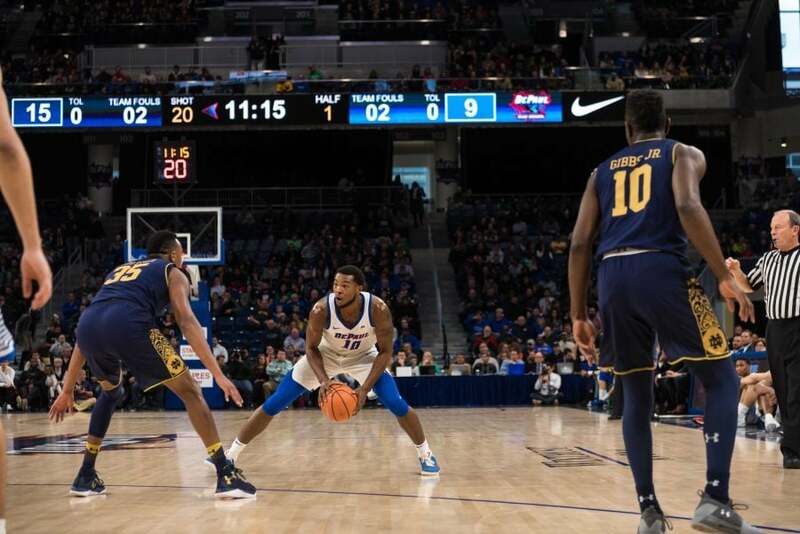 Down the stretch in the second half, the Blue Demons continued to attack the paint fouling out both Oregon big men Paul White and Kenny Wooten and forcing the Ducks to utilize a smaller lineup. With the game tied at 75 and just over 30 seconds to play, Demons couldn’t get a good look on their last possession with Cain’s shot bounding high off the backboard to give the Ducks the last possession tied at 75. The Demons survived a three-point attempt from Pritchard as time expired extending it to overtime. This was the second straight overtime game for the Ducks. 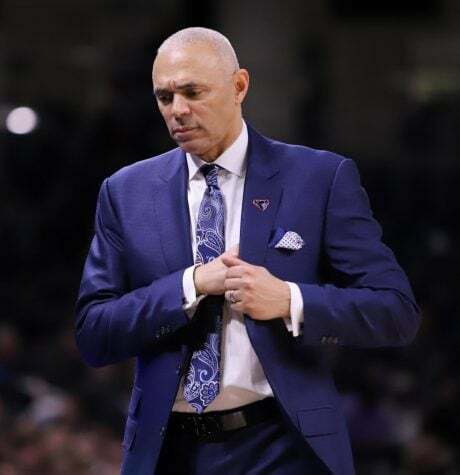 In overtime, the Blue Demons were not able to execute the way they had in regulation turning it over three times as Pritchard and the Ducks continued to shoot well eventually pulling away late in overtime. 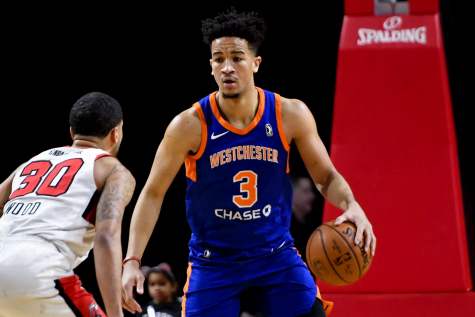 Despite the loss, Cain had one of his better games of the season with 19 points and six rebounds, while Strus continued to struggle from the field going just 3 of 11 from three, but still finishing with 15 points. 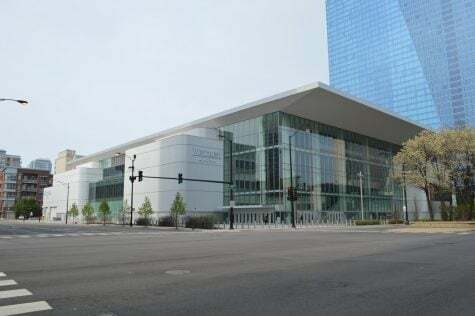 The Blue Demons will now face Portland on Sunday in their final game of the tournament.